Tisha B'Av activities included evening reading of Lamentations, film and afternoon service. The film was very thought provoking and generated lots of animated discussion. May the next Tisha B'Av be observed in the rebuilt Temple in Jerusalem with joy and celebration with the complete redemption for all mankind! 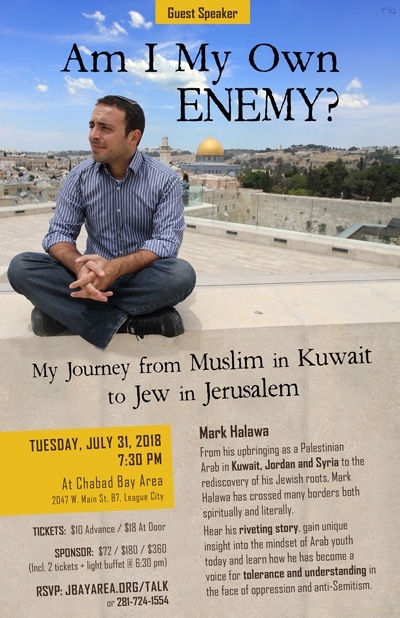 Seats are filling up for the fascinating guest speaker this Tuesday night! If you haven't yet reserved, please do so as soon as possible. Already reserved? Invite your friends to join you! Please consider joining as a sponsor - it helps make events like this possible! SPONSORSHIP OPTION: Starts at $72 and includes light buffet dinner for 2 before the event at 6:15 pm. Suggested donation $10 or more / $18 on the day of the event or at the door. As vice-president of Hungary's far-right extremist party, Csanad Szegedi espoused anti-Semitic rhetoric and Holocaust denials. But his life was soon upended when Szegedi's maternal grandparents were revealed to be Jewish and his beloved grandmother an Auschwitz survivor who had hidden her faith, fearing further persecution. Tisha B'Av - The major fast day commemorating the destruction of the two Holy Temples in Jerusalem. Traditional Reading of Eicha (Book of Lamentations) on Saturday, July 21 at 9:30 pm. 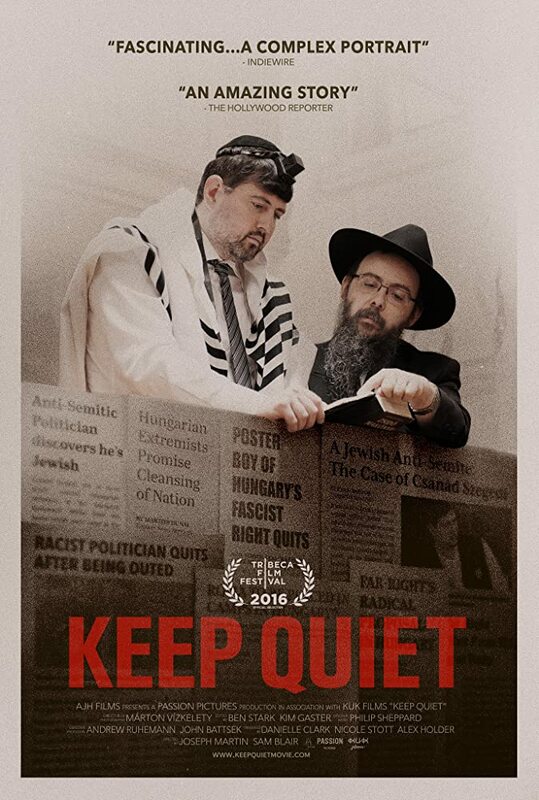 Join us for a special documentary film, "KEEP QUIET," on Sunday, July 22 at 5:30 pm. Sunday: Shacharit at 9 am / Mincha-Maariv (with Tefillin) at 7:30 pm. Followed by light refreshments at the end of the fast. The saddest day on the Jewish calendar is the Ninth of Av, "Tisha b'Av," the date on which both our Holy Temples were destroyed, and exile, persecution and spiritual darkness began. Tisha b'Av starts at sundown of the preceding day and lasts till the following nightfall. During this time-period we fast, eschew pleasurable activities and amenities, and lament the destruction of the Holy Temple and our nation’s exile. For more about Tisha B'av, click here. The spellbinding mystery, spirituality and history of "G-d's House"
In this lesson: How did the Temple look and function? Get 3-D tour of the inside. What do Jewish sources say about what happened to the precious items like the Ark of the Covenant? The destruction and its aftermath. Is there any archeological evidence? Did Judaism change post-temple? Will there be another one? Presented in conjunction with the "Three Weeks" period on the Jewish calendar during which we mourn for the destruction of the Holy Temple (Beit Hamikdash) in Jerusalem. Friday, July 13 is the first day of the month Av. The first nine days of Av are days of mourning for the destruction of the first and second Holy Temples. Among other observances, during this time we refrain from eating meat or drinking wine (except on Shabbat), swimming or bathing for pleasure, remodeling or expanding a home and buying new clothes. The Nine Days culminate in the fast of Tisha B'Av (The Ninth of Av).